What comes to mind when you think of Dove? Pretty white bars of soap, perhaps? Well, the skin care company’s new Men+Care line hopes you’ll soon summon thoughts of the great outdoors – which is why Dove built a treehouse in Tennessee that you can actually stay in. The Dove Men+Care Treehouse is a 360-foot modern-rustic dream, set at the foot of Lookout Mountain in Chattanooga, Tennessee. 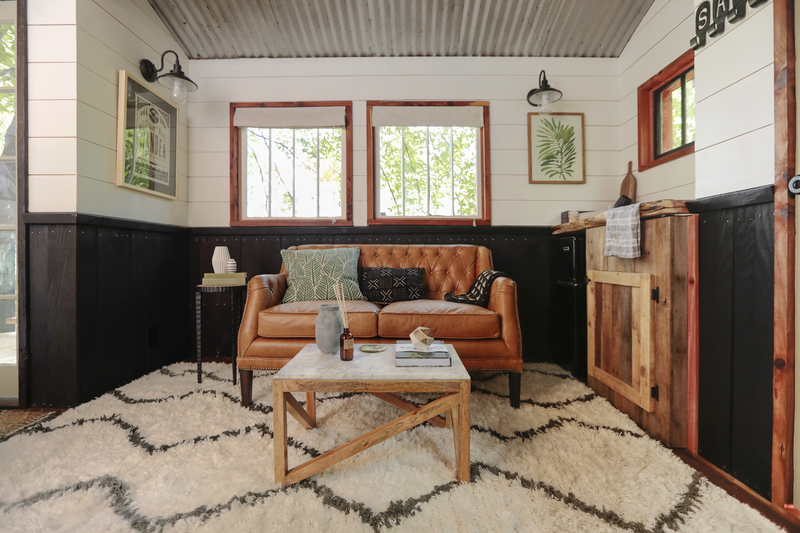 Pete Nelson, who you may have seen on Treehouse Masters, built the house, and interior designer Will Taylor (of Bright Bazaar) outfitted it with the rustic but oh-so-chic decor. 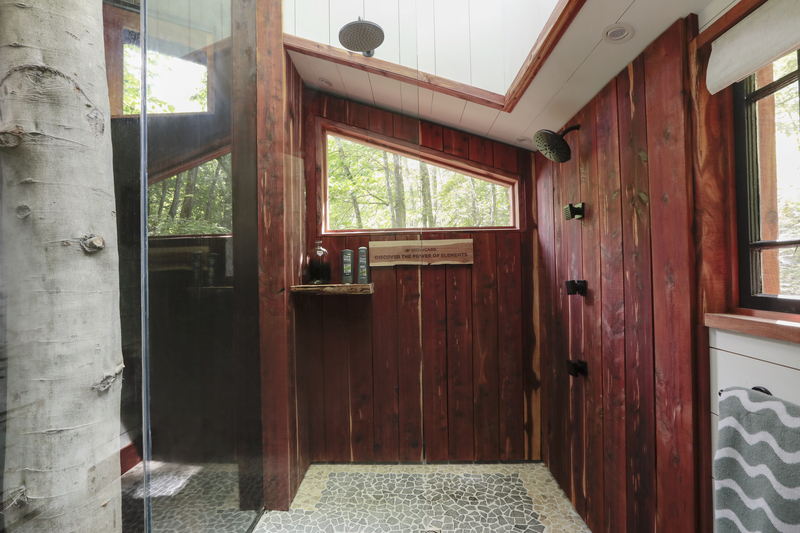 The house may be small, but they’ve packed a lot into it: It features an ultra-luxurious bathroom (which is definitely bigger and prettier than mine), complete with open-air skylight and a glass-enclosed tree to make you feel the connection between nature and self-care. "Treehouses not only encourage people to discover the power of nature’s elements while living among them, but have also become a growing travel and home trend. These tiny homes in the trees evoke a sense of adventure, discovery and childhood nostalgia, while giving visitors the chance to unplug and refresh the body and mind," the company wrote on their website. Visitors can read more about the treehouse on Dove’s website and book their stay through Treetop Hideaways. Go on, the woods are calling.